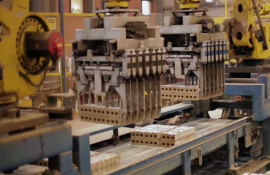 BETA TILES Zimbabwe, a subsidiary of BETA HOLDINGS, Zimbabwe’s largest clay brick and concrete roof tile manufacturer, this week announced its acquisition of Msasa Bricks (Pvt) Ltd, a leading cement bricks and concrete products manufacturing company in Harare. The acquisition, effective 7 February 2017, supports BETA TILE’s vision to provide a full range of concrete based construction and infrastructural inputs supplies. Msasa Bricks manufactures concrete and cement based products, including standard and face bricks as well as pavers for industrial and residential use. “We continuously look for opportunities to better serve our growing customer base and to expand our market reach. 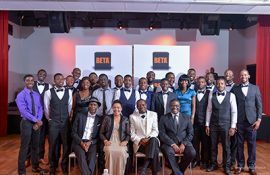 Msasa Bricks is a terrific strategic fit to BETA TILES” said BETA HOLDINGS Chief Executive Officer Godfrey Manhambara. 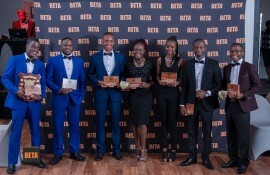 Capitalising on BETA HOLDINGS’ leadership in the clay bricks and concrete roof tile markets and Msasa Bricks’ cement and concrete products expertise, the Msasa based operation will be rebranded as BETA TILES Concrete Products Division. BETA Holdings is Zimbabwe’s largest brick and concrete roof tile supplier, with origins dating back to 1953 when it was established as Alpha Bricks. The company is headquartered in Mount Hampden and has representative sales offices in Bindura, Mutare, and Kwekwe. It has also expanded its regional footprint with operations in Zambia and Mozambique. Its three main operating subsidiaries are Beta Bricks, Beta Tiles and Beta Logistics.